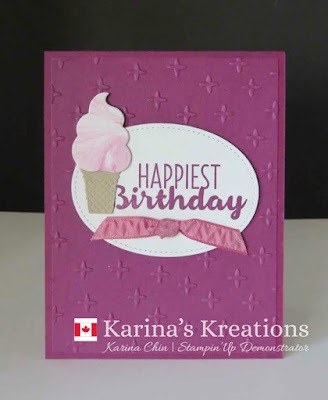 Karina's Kreations: Stampin'Up Cool Treats Card! What do you think of this cute card? 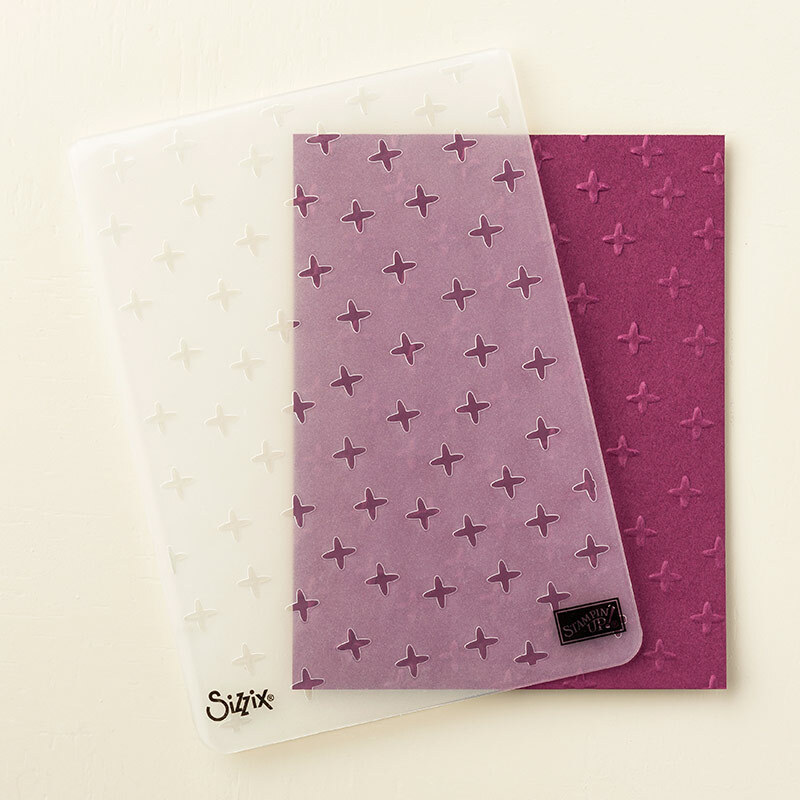 I got it as a swap and wanted to share it with you because it uses the Sparkle embossing folder #147360 which is a free sale-a-bration item right now. You can get this folder for free with a $60.00 order. 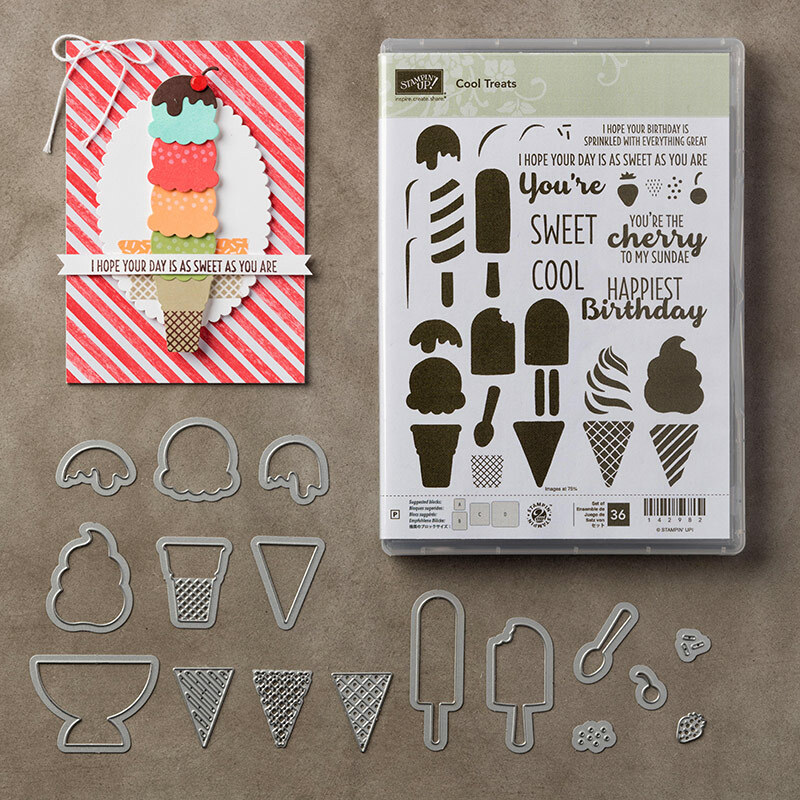 This card card also uses the Cool Treats Bundle #145181 $61.00 which includes the Cool Treats stamp set and Frozen Treats framelit dies. 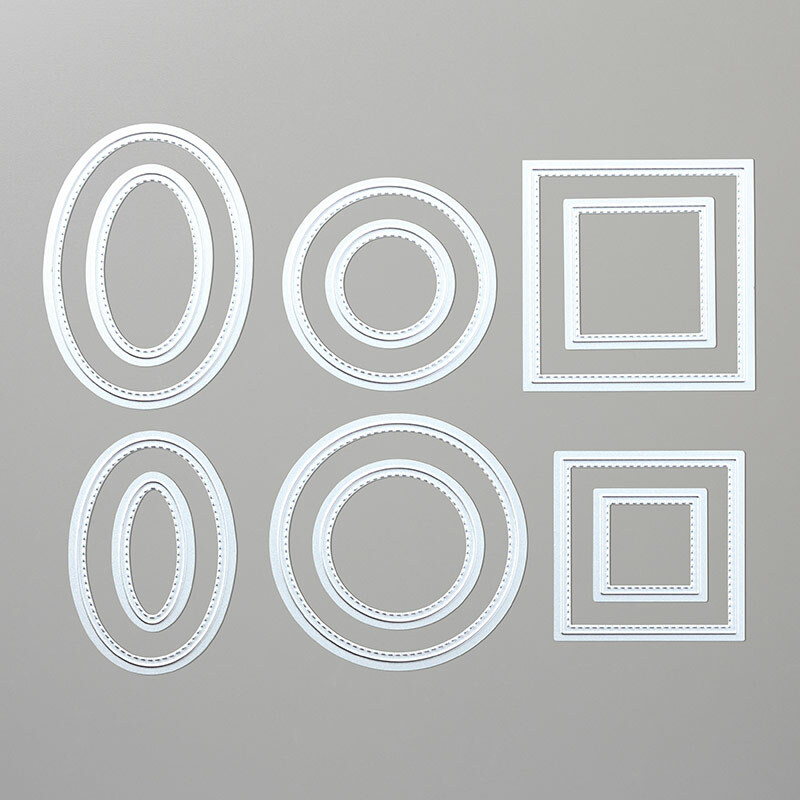 The greeting is stamped on an oval which is part of the Stitched Shapes framelits dies #145372 $40.00. Take a close look at the ice cream. A shaving cream technique was used. If you live in Canada, I would love to help you with your order. Click this link to shop now!